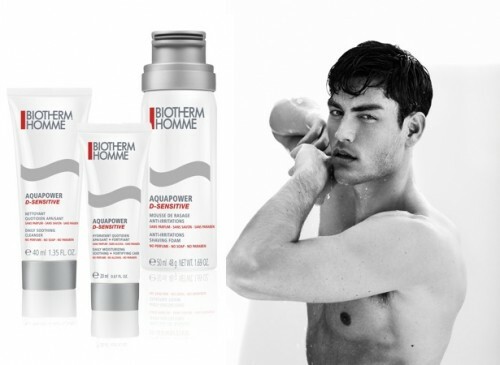 Sorting out sensitive skin and Moustaging friends - it's all in a day's work for Biotherm Homme! Biotherm Homme Aquapower D-Sensitive Daily Soothing Cleanser - 125ml - $25 - a cleanser for deep and gentle cleansing. Eliminates impurities with soap-free efficiency and soothes skin with a comfortable texture. I recently got my hands on a bottle of BIOTHERM AQUAPOWER D-SENSITIVE shaving cream from a very good friend. After 5 days of not shaving (beard territory for me) I decided to try this product out. Looking at the bottle it states "no perfume, no soap , no paraben (what's that?!) " I figured it would be a watered down version of what I normally use and considering I have very sensitive skin I thought I would be throwing this bottle through their window shortly after I shaved. Well, I was pleasantly surprised to discover a very rich cream that felt better then the product I have been using for years and despite the lack of the soap, perfume...etc it actually did a better job then my regular product. I would recommend this product to anyone interested in putting less chemicals into their body while actually improving the quality of their shave. When this bottle runs out, I will certainly be replacing it with the same product moving forward. Biotherm Homme Aquapower D-Sensitive Daily Moisturizing Soothing + Fortifying Care - 75ml - $30 - a moisturizer for daily armor-like protection and soothed skin. Reduces the 5 signs of skin sensitivity - redness, itching, tingling, tightness and flare-up sensations - and fortifies skin against external aggressions leaving it feeling comfortable. The products are all free of alcohol, fragrance and parabens but still won't help them dump women easier. 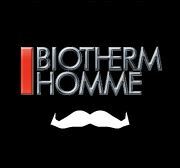 You might not be able to grow a mustache of your own for Movember - but this month Facebook fans are invited to join the Bitherm Home team and Moustag their friends for the cause at: https://www.facebook.com/BiothermCanada?sk=app_229196860467723 - for every Moustag uploaded - Biotherm Homme will donate $1 to the prostate cancer campaign. They will also reward each $15 online donation with a $15 value Aquapower D-Sensitive gift set. Nine West previews Spring 2012! Stylexchange opens new boutique on Queen Street! Joico Structure puts an end to boring hair! Have healthy, hydrated hair with Kronos! Contest! Paul & Joe will have you looking pretty! Contest! This week I'm obsessed with... Rimowa Pearl Rose! Bobbi Brown is having a Party for Holiday 2011! eBeauty wants to send you to Vegas baby!